If your girl loves art and all things creative, then she will be thrilled with this Little Artist Birthday theme. And the best part is, it's so easy to plan and put together. All you need is a little bit of time, imagination and a whole lot of color! 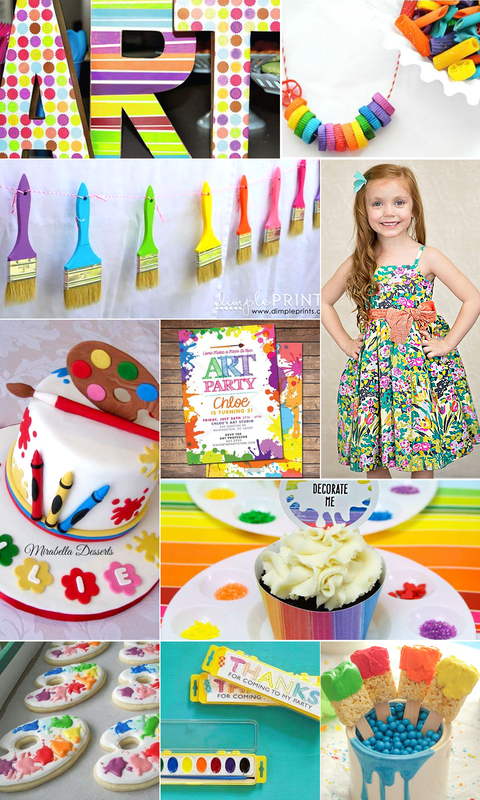 From fun decorate-your-own cupcake activity, to yummy paintbrush rice crispy treats and easy paintbrush garland, this party will be a breeze for you and a loads of fun for your girl and her guests. And if you are still looking for that perfect birthday dress, we have just the one! This stunning Magpie & Mabel Juliet dress looks like it came straight from Claude Monet's paiting. Featuring layers and layers of tulle for extra volume, and a large bow, it is the ultimate birthday and party dress for girls who love art. 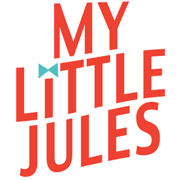 Thanks for visiting our blog and have fun! Great birthday party ideas! Thanks a lot for sharing photos from this interesting party. My daughter loves art and all such creative things. Going to use this art theme for her upcoming birthday. Would be booking Chicago venues for birthday celebrations.